As part of the vaccine preparation process, a food grade dye should be added to the vaccine solution. 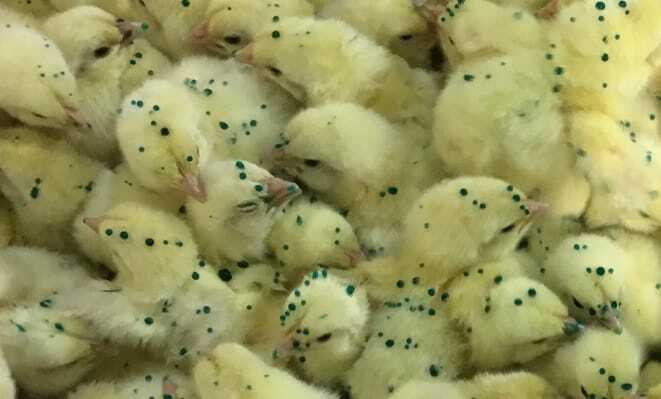 The dye will make the gel droplets more visible on the chicks during application, and on the chick’s tongues post-vaccination. 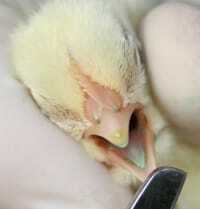 By checking the color of the chicks’ tongues in a random number of crates, a percentage vaccine take can be easily calculated.